Integral storage area which can accommodate paints, brushes, pencils etc. This is a great starter easel for beginners who lack space and storage. rest your sketch pad against it to draw on or secure your canvasses to paint on. Hold canvases up to 17 inches (430mm) in Height. It has a comfortable carry handle and has a fully adjustable painting angle. Showing 3 of our total 8 reviews, with an average rating of 5 stars. 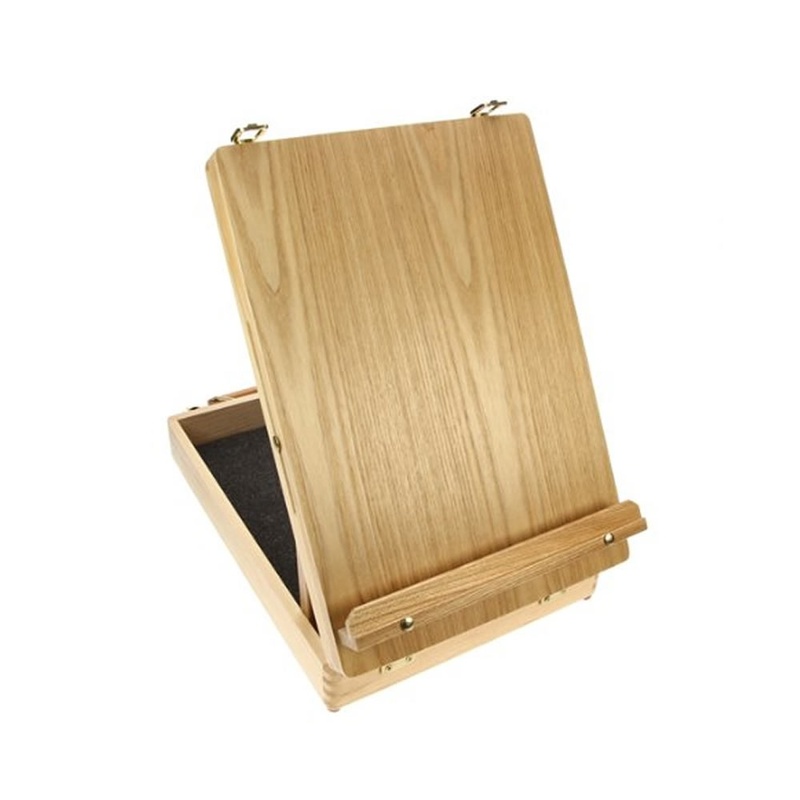 Read all 8 reviews for Daler Rowney Simply Wooden Box Table Easel with Carry Handle~. Handy for holding my book when colouring and also for the pencils, sharpener etc. A good size & highly portable! Very sturdy, nice to look at and very reasonably priced box easel. Brought as a gift for my granddaughter. From what I saw it looked to be very good value ans she seems to be delighted with it.